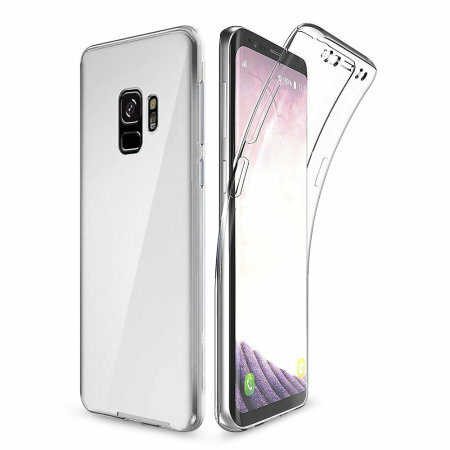 At last, a Samsung Galaxy S9 case that offers all around front, back and sides protection and still allows full use of the phone. The Olixar FlexiCover in crystal clear is the most functional and protective gel case yet. touch sensitivity is intermitant - the version on my S8 worked better! Good product, very happy with service and price. It does lose a bit of touch sensitivity, especially when texting which can be a bit annoying but overall it is great protection which is what I was looking for. Would recommend if needing solid protection. The case works well and was easy to apply. I normally hate trying to apply screen protectors to my phones as I always get them wrong, but this case meant I could protect my screen instantly. It does reduce sensitivity a little but not the extent where it bothers me. Just the occasional letter that needs hitting again, but nothing more than that. Overall a solid case that was well worth the money. I work on construction sites, which is the main reason I have purchased this case. You might think a rugged case could have been a better option, however, I do not normally drop things! Dust and pain are actually my worst enemies, and since this case offers a 360 coverage - I could not find a better one! The actual screen protector seems to be made of some sort of silicone, so having a high-sensitivity mode on the S9 is a must. I felt like the packaging could have included the instructions on how to enable it, but I ended up finding Mobile Fun's own blog on how to set it up. Cheers! I used it for a few weeks, then gave up. Swiping and key pressing didn't always work - it would take several attempts. The touch screen does not respond well when the cover is on. If this still doesn't improve please contact our Customer Services team so they are able to help you further. Once the cover is on your phone doesn't recognize your face or irises, so you can't use that feature of your phone at all. The screen has to be pressed with considerably more pressure to do anything else too.